Q: How can I turn off the Bixby feature? A: You can select what happens when you push the Bixby key if you update Bixby to the latest version. For example, you can choose to open Bixby Home as it does currently. Or, you can select “No Action” if you do not want anything to happen when you “short press” the key. Firstly please update your installed Bixby application to the latest version. You may check the message about update when you activate Bixby. After then from Bixby Home screen, tap More > Settings > Bixby key. 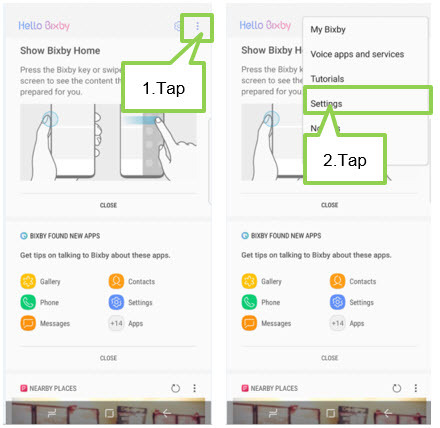 Select what to open with the Bixby key. To turn off the Bixby feature when you “short press” the key, please tap “Don’t open anything”. This does not mean to deactivate Bixby Voice together. 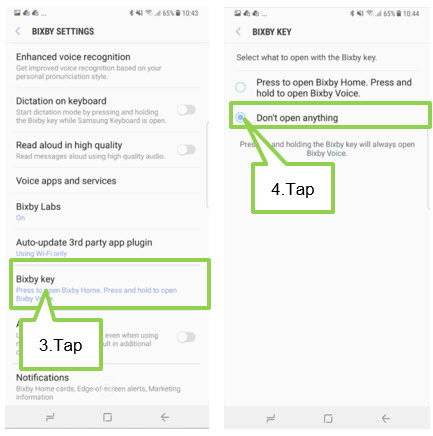 You can continue to press and hold the Bixby key to access Bixby Voice. 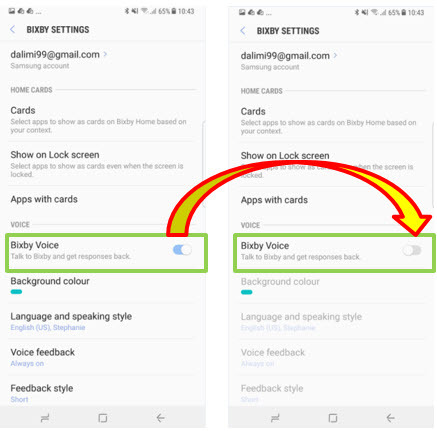 Additionally to deactivate Bixby Voice feature, on Bixby Settings screen tap the Bixby Voice switch to turn off the feature. Important: We design smartphone for all users, from novice to experts, from youth to seniors. We also want to offer a unique experience to all our customers. This is why, for example, Bixby was created. We believe so much in this new feature that we decided to make it a part of your smartphone. This is why we added a specific button for this feature. We know that specific customers will not want to use Bixby, at least for now. This is why we offer the possibility to turn off the feature. But it is not possible to remove that feature as it is a part of the Samsung experience. How do I use Smart View to share the screen of my Galaxy S8 with my television? Galaxy S8: How do I set up and use Samsung Pass on my Samsung Galaxy S8 (SM-G950W)?